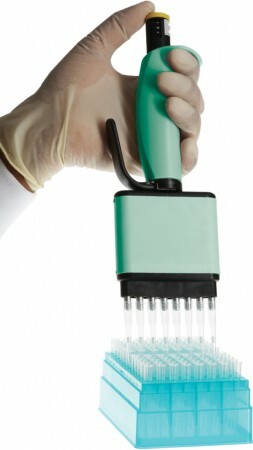 UniPette™ Pipettors feature removable, adjustable volume control knobs. UniPette™ single-channel and multi-channel pipettors employ only stainless steel pistons and aircraft-grade aluminum internal components. All UniPettes™ are fully autocavable at 121° C, for 5 minutes, without the need for any disassembly, meet the requirements of ISO 14001:2004, & are fully recyclable. 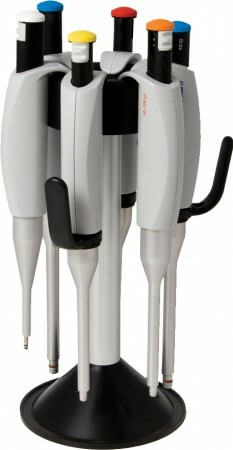 Same comfort and ease-of-use as the UniPette™ Adjustable Volume Pipettors, but with a fixed-volume control knob. Knobs can be exchanged for adjustable knobs of varying volume ranges. See UniPette™ Volume Control Knobs. UniPette™ multi-channel instruments can be converted to a fixed volume pipettor simply by exchanging the volume control knob within its volume range. UniPettes™ are engineered with 8 or 12 individual stainless steel pistons and barrels to ensure single-channel accuracy and reproducibility from a multi-channel instrument. Our unique dual silicone O-rings allow effortless, leak-free mounting of most commonly available pipette tips. The exchangeable volume control knobs add remarkable versatility to your UniPette™ pipettor. The adjustable-volume knobs can be varied in micro increments with half the effort of other adjustable-volume pipettor controllers. Swap out a fixed-volume knob for an adjustable knob for exacting liquid transfer requirements. Color-coded for easy compatibility identification, knobs slide in and out in seconds. The exchangeable volume control knobs add remarkable versatility to a single pipettor. The fixed-volume knobs assure accuracy from one draw to the next, & combined with UniFit™ ZFR™ Tips, you get exactly what you need, no more, no less. 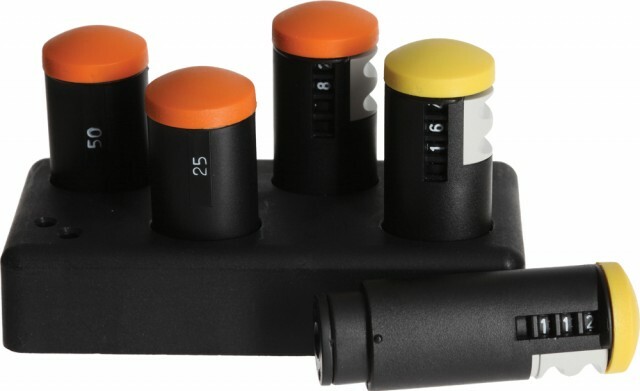 Color-coded to identify Pipettor compatibility, knobs slide in and out in seconds. Offered in two sizes, 8/16 or 12-channel, non-sterile or sterile, Origami comes as a pre-creased, flat plastic sheet. Practical Origami design saves space in your lab, and the sharp V-bottom saves money on reagents. UniPette™ offers several choices in benchtop Pipettor Stands to keep your instruments in easy reach. The Carousel Stand holds up to six pipettors, and rotates for easy access from any angle. The Combi Stand is a modular unit which can be used as individual pipettor stands or joined together to make a larger, multi-instrument holder. The wall holder will keep one pipettor in easy grasp when you don’t have a benchtop nearby. All UniPette Pipettor Stand options keep your pipettors off of the working surface so they are clean and easy to pick up. At only 5.9 oz. (167 gms) including battery, this lightweight motorized pipette controller is ideal for a wide range of liquid handling applications. 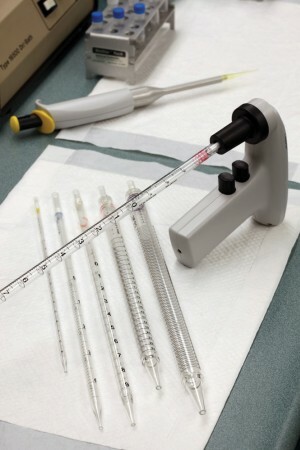 Accommodates glass or plastic pipets ranging from 0.1 mL to 100 mL. It features the latest rechargeable Lithium Ion battery, which provides up to 12 hours of continuous power. The UniPette™ has an infinitely variable, thumbwheel-controlled speed setting that regulates both the aspirate and dispense modes, as well as a separate switch that allows either gravity dispense or motorized blowout dispense. Instrument comes complete with an exchangeable 0.2 µm PTFE disc filter, installed directly above your pipet, which functions as a shutdown system in case of an accidental overfill. Screw-on nose cone is fully autoclavable, and has a protective design for venting out corrosive liquids or fumes. Full one year factory warranty. Replacement filters, nose cones, and internal pipetteholders available separately. 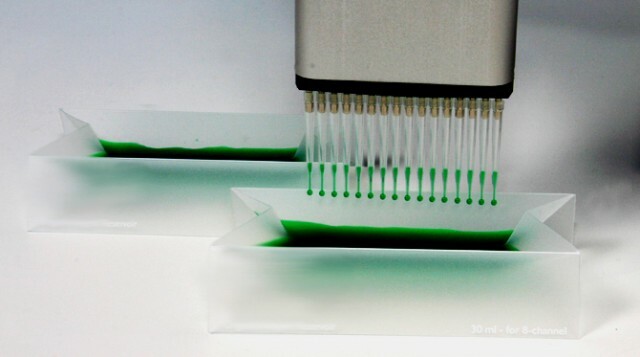 Gamma radiation-sterilized, non-wettable pipets are ideal for serological and tissue culture applications. Certified non-pyrogenic, with an endotoxin level less than 0.5EU/mL, all sizes have negative graduations, plus ascending and descending graduations on all but the 1 and 2 mL sizes. Made to exacting specifications, each lot is certified sterile, and tested for volume accuracy and endotoxin levels. Works with all brands of controllers.